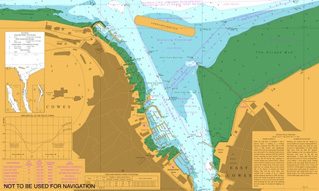 There is a wide choice of visitor mooring facilities within Cowes Harbour and along the River Medina as far south as the Folly Inn, with four Marinas operating, as well as the various visitor berthing options detailed below. The rates below do not include major events when special rates apply. The outside of this facility, on the fairway side of Trinity Landing, is for pick up and drop off only, except by prior arrangement. You may moor, with the vessel attended, for 10 minutes for free (ideal for landing or boarding crew). Mooring on the inside of the pontoon is for leisure craft and is available under the direction and control of the Harbour Master. Both water and metered electricity are available. 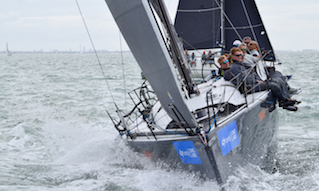 In July, approximately 150 additional swinging moorings for small day class vessels are laid to the northeast and south of the Cowes Breakwater in preparation for Cowes Classics Week and Cowes Week. Most other buoys south of the breakwater are licensed to residents. Bookings for events to be made via your class secretary. 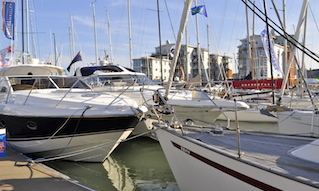 Town Quay, the gateway to Cowes, lies adjacent to the Red Jet terminal and in front of the Harbour Office and provides easy, walk-ashore access direct to Cowes High Street. Town Quay offers pontoon moorings for RIBs under 9m in length and a free scrubbing berth for vessels up to 10.6m in length. 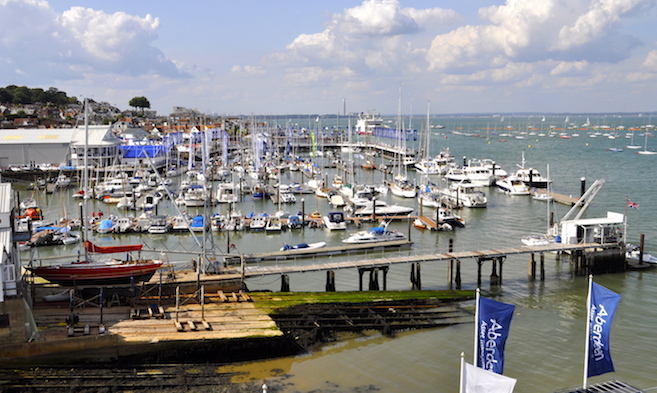 Cowes water taxis also operate from Town Quay. The next set of visitor moorings are past the Chain Ferry on the east side, although you will need to use the water taxis or your dinghy to get ashore. 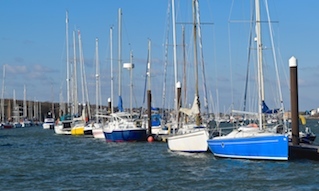 These moorings are quiet and ideal for craft wishing to stay overnight in Cowes but outside of a marina. They represent excellent value and many are suitable for deeper draught vessels. It can take as little as 20 minutes to motor to the Folly from the harbour entrance. Almost halfway up the River Medina, it is a world away from the hustle and bustle of Cowes and is designated as a ‘Site of Special Scientific Interest’. Please produce minimum wash in this area, keeping your speed below 6 knots through the water. Pontoon moorings are available although most require use of a tender or the Folly water taxis to get ashore. New pontoons and piles are being installed for 2017 including a new 200m visitors pontoon in the vicinity of the Folly Inn. Located at the head of the River Medina, Newport Harbour is a journey back in time. 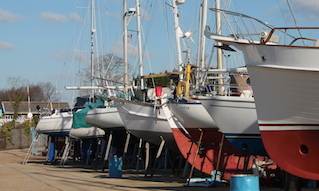 The harbour is close to the centre of Newport, county town of the Isle of Wight, which has a broad range of facilities including shops, chemists, and restaurants. The harbour is fully tidal, so if you plan to stay you will dry out against the harbour wall or on one of the pontoons. As an alternative, moor opposite The Bargeman’s Rest for a longish (3 hours) lunch, and head back down the river with the ebb tide. Newport Quay is Isle of Wight Council operated. Tel: 01983 823885. Leave a message and the Harbour Master will get back to you.